Ober’s Test: Is it really about the IT Band? Ober’s Test is a well known Orthopedic test learned in Physical Therapy school. The post today is to expand about the Ober’s Test and the other implications it has besides testing IT Band “tightness”. In PT school, I was taught Obers test assesses the tensor fascia latae or Iliotibial band contracture. As stated above and in the video, when the test is positive we assume that the TFL and the IT Band is “tight” and the treatment protocol is to ‘stretch’ or perform manual therapy to the IT Band (that is at least how we learned it in school). However, research show that changing the IT Band through manual therapy is next to impossible. According to Chaudhry et al. (2008) to change the IT Band length by 1% it’ll take 925 kg/~2 tons worth of force!!! 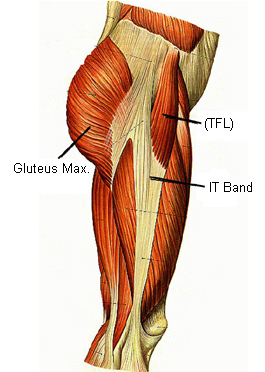 Hence, there is little chance that you can actually deform the IT Band and make the IT Band less “tight”. This poses the question, is the IT Band really tight when you have a positive Ober’s Test? Maybe….maybe not. As I am studying Postural Restoration Institute’s theories/assessment and treatments, I found an interesting article that described about the Ober’s test. According to Tenney et al. (2013), the Ober’s test was developed by Orthopedic surgeon Frank R. Ober in 1937 to assess passive hip-adduction ROM in patients with LUMBOPELVIC pain. Furthermore, when Dr. Ober surgically excised the iliotibial band (ITB) in patients with back pain, passive adduction improved, lordotic curvature of the lumbar spine decreased, and lumbopelvic and sciatic pain was decreased. This was the traditional application of the Ober’s test until in 1949 Kendall used Ober’s test as a way to determine whether the ITB and/or tensor fasciae late (TFL) needs stretching. It seems like Kendall took away that it was an assessment of the lumbopelvic region. 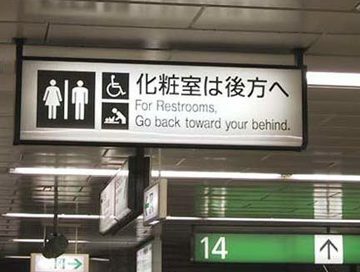 Maybe there was a lost in translation occurring there? Since then the Obers test has been used primarily for IT Band “tightness”. Now, the question becomes if a Ober’s Test is positive, do we work on the IT Band in hopes to decrease the “tightness” or can we work on the lumbopelvic region to improve the Ober’s test pre and post treatment? Since lumbopelvic pain conditions have been associated with decreased passive Hip ROM and increased lumbar lordosis, working on the lumbar region theoretically make sense (Boyle et 2005, Boyle et al 2011, Boyle 2003). According to the study from Tenney et al (2013), improving pelvic position does improve Ober’s test. In his research article, they activate the abdominals and hamstring muscles to subjects who experience lumbo pelvic pain and a positive Ober’s test. Their intervention was one of the classic 90-90 hip lift with balloon exercises from PRI. You can find the article here. of the acetabulum IF the pelvis is in a state of anterior tilt in the sagittal plane and in a forward rotation in the transverse plane. Hence, by improving the pelvis positioning, the bony block is removed and the hip can be adducted better. If you experienced many Obers Tests that were positives, try implementing the exercises in the article or take a PRI course to learn further. If assessed well and implemented the exercises in the right setting, you may be surprised how often the Ober’s test improves. Boyle K, Jansa S, Lauseng C, et al. Management of a woman diag- nosed with trochanteric bursitis with the use of a Protonics neuro- muscular system. J Section Women’s Health. 2003;27(1):12–7. Ober FR. The role of the iliotibial band and fascia lata as a factor in the causation of low-back disabilities and sciatica. J Bone Joint Surg Am. 1935; 18(1): 105-110.